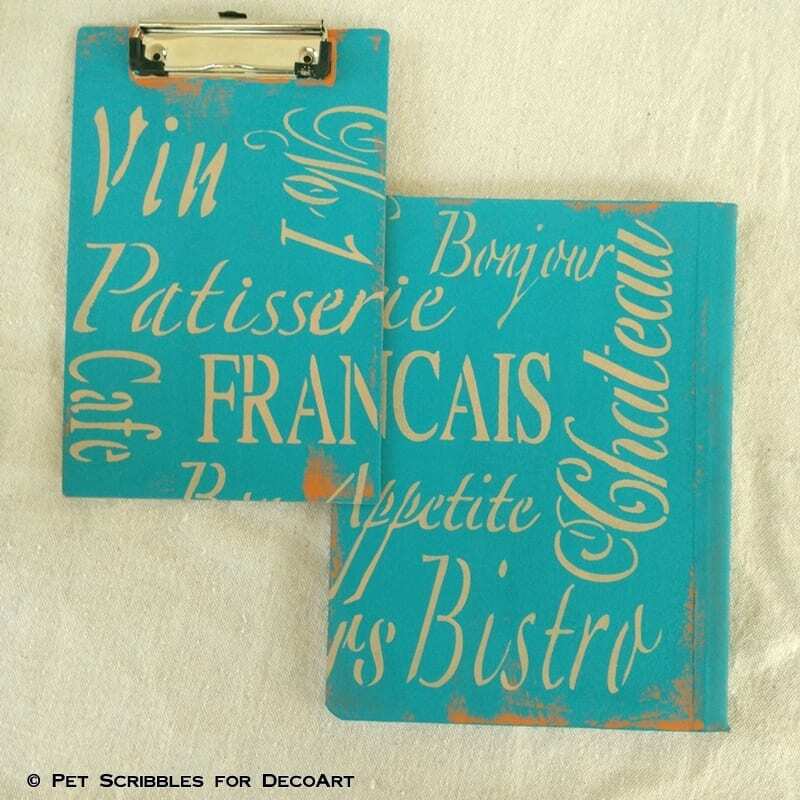 I used chalky finish paint and stencils to turn dollar store desk accessories that didn’t match into a pretty set of French-inspired stenciled desk accessories! 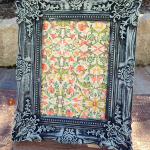 Wait until you see this transformation I did for DecoArt! 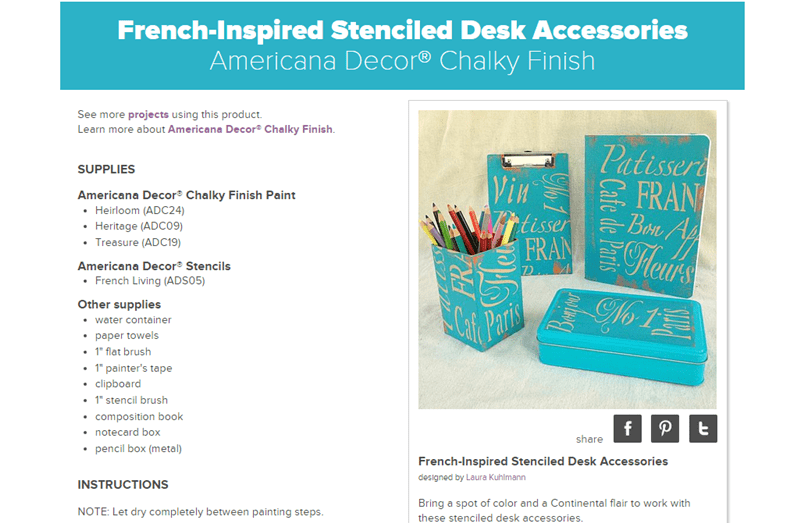 Chalky finish paints are not just for furniture or larger home decor items. You’ve seen me paint lots of smaller objects for home decor and handmade gift ideas with this paint, so today I’m sharing a paint makeover for something truly useful: desk accessories! 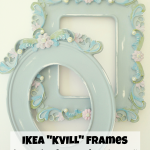 And a quick shout-out of thanks to DecoArt! They provide me with supplies and support for the projects that I do for them, and they’re a never-ending source of inspiration! I used DecoArt products long before I began working with the company, so being able to create projects for them is like a dream come true! 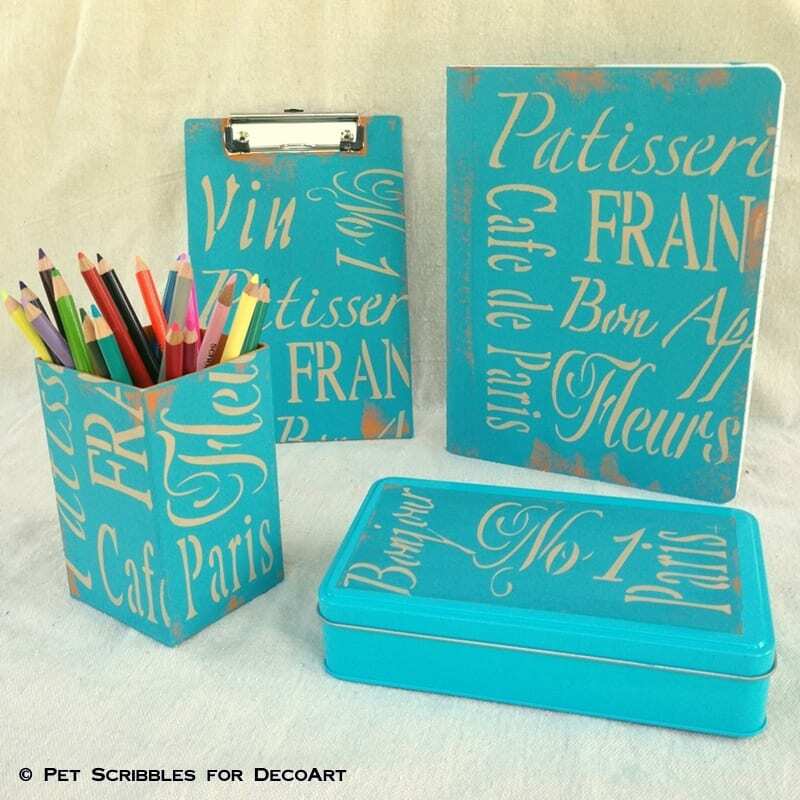 Thanks DecoArt! You don’t have to spend a fortune, or even a moderate fortune, to have lovely desk accessories for your home office or your workspace. 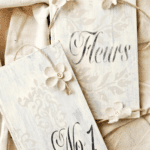 In fact, a quick trip to your local dollar store or the fun dollar bins at other stores will help you find some worthy desk items for very cheap . . . even if they look mismatched and not your style. 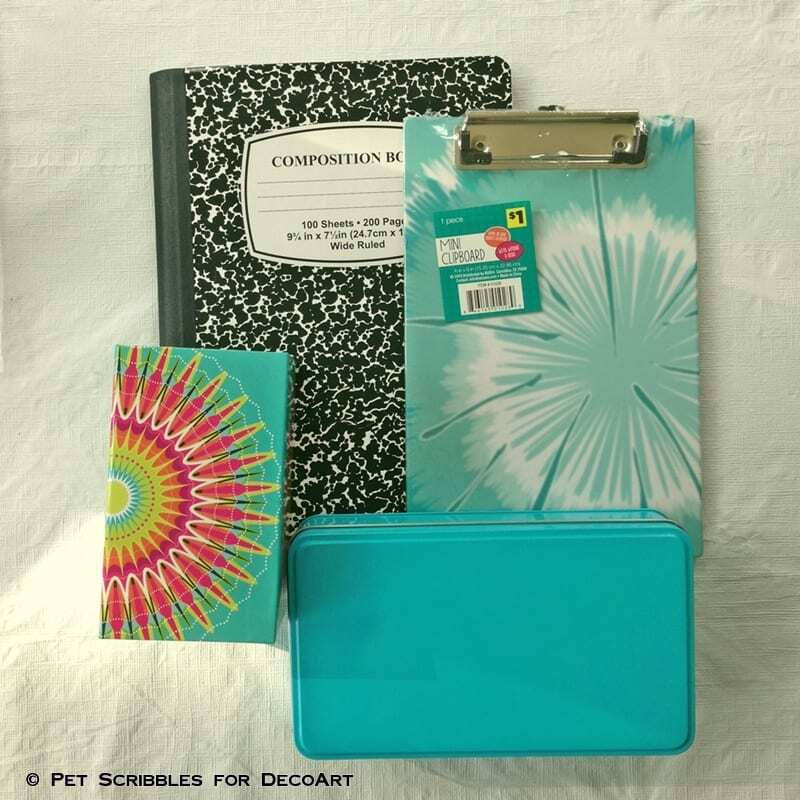 The clipboard and composition book are made primarily from cardboard. 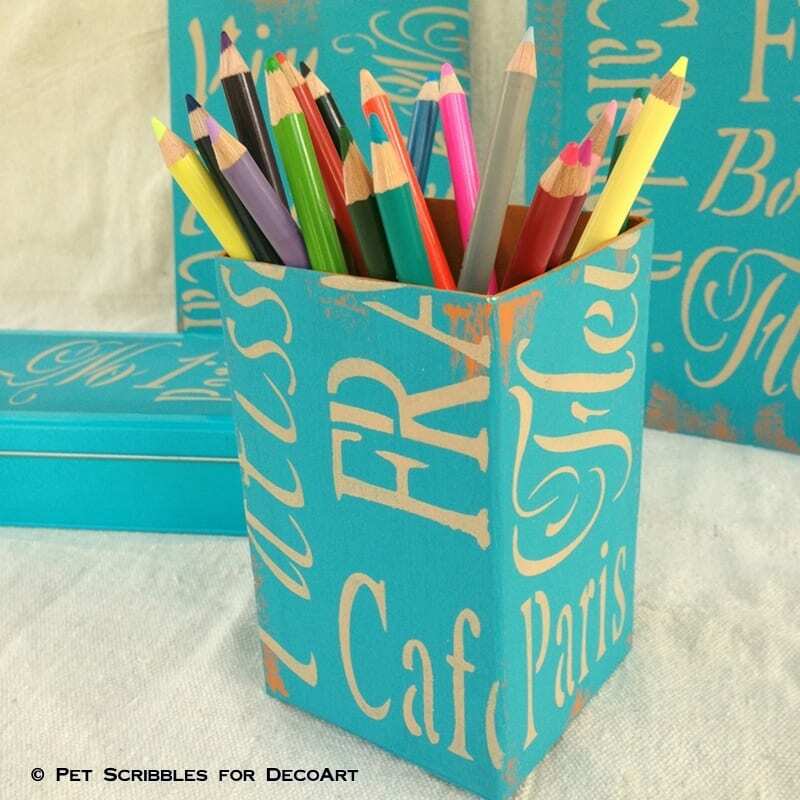 The pencil cup is cardboard with a shiny-coated paper adhered on top, and the box is a typical metal box. These items don’t belong together. I purchased these to challenge myself to make a pretty desk set on the cheap! 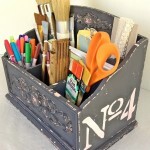 Have you seen lately just how much pretty matching desk accessories cost?? That’s one expense I can help you avoid! 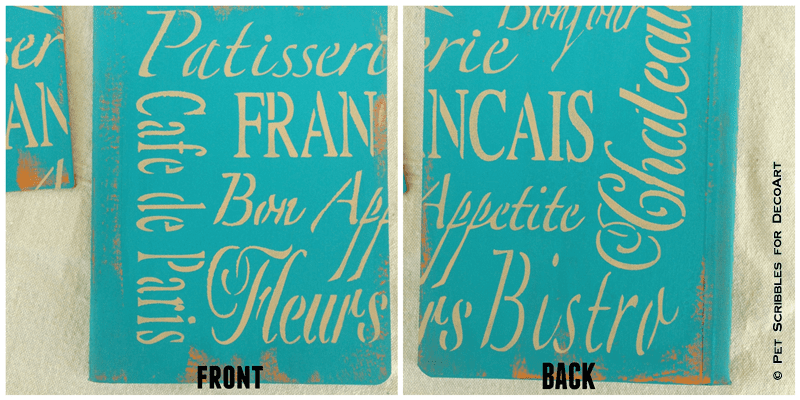 For this makeover, I used three shades of chalky finish paint, a French word stencil and painter’s tape — which is always handy for positioning and keeping your stencils in place! 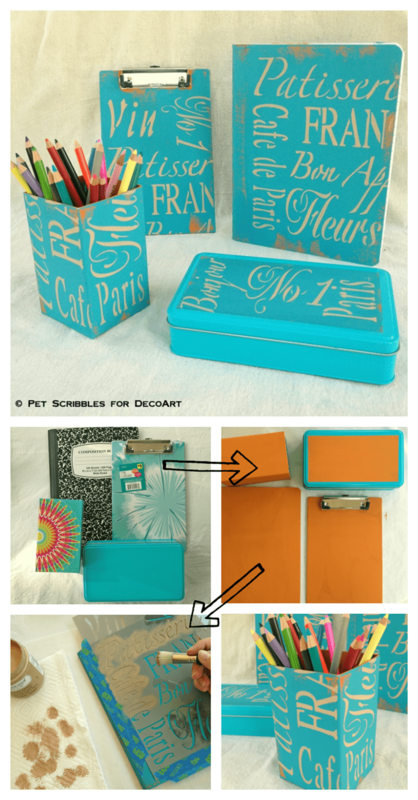 Even just one of these items makes for a fun introduction into stenciling. Trust me on this! 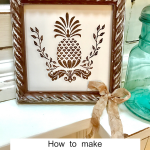 And once you see the pretty results of your work, you will want to stencil everything! Trust me on this too! 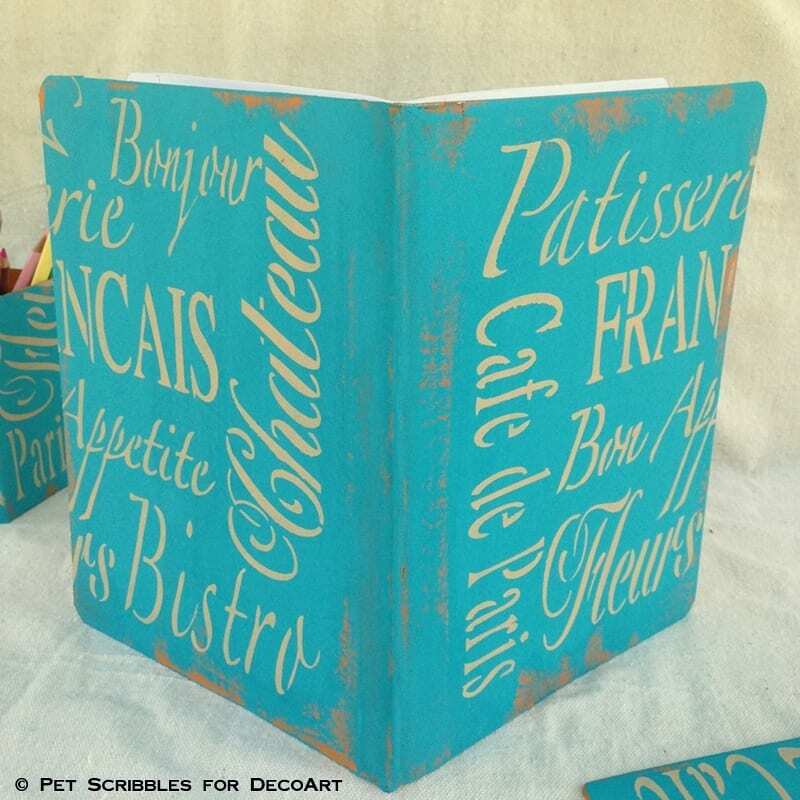 You can see my entire tutorial — along with step-by-step images — on DecoArt’s website!